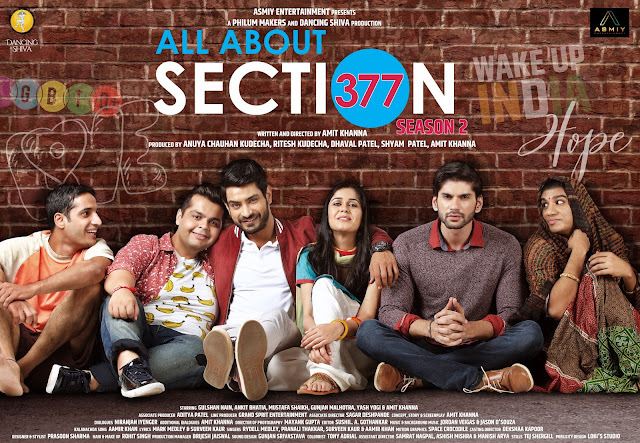 Ace photographer Amit Khanna's latest offering All about section 377 season 2 is bang on, targeted to highlight the struggles of LGBTQ community the first season of this series was highly appreciated and won accolades galore. Amit Khanna says "Love is a beautiful emotion which must be expressed freely and not be restricted on the basis of gender Our series All about section 377 season 2 highlights LGBTQ issues at a basic grass root level its not only the first series to take up struggles faced by the Hijara/transgender issue but it happens to deal with homophobia in Indian villages due to prejudices and lack of knowledge"
Anuya Chauhan Kudecha (Dancing Shiva) feels " as mankind progresses in the realm of technology, infrastructure and so on, our thoughts need to progress, one's sexual orientation is no basis to discriminate individuals as it's very offensive for a person's dignity. MrShyam Patel (Philum Makers) quotes " It is important for people to understand the true emotional journey of the LGBTQ community in our society our web series enlightens the viewer on the harsh reality"
All about section 377 season 2 thus is an important content for the world to witness as it aims to break prejudices as well as brings in light the reality of the LGBTQ community. No Comment to " Love is Love - Cries Amit Khanna, Promo of Section 377- Season 2 released "